Drupal is free, open source software that can be used by individuals or groups of users to easily create and manage many types of web sites. The Drupal community is one of the largest open source communities in the world. We're developers, designers, strategists, coordinators, editors, translators, and more. But once a year, the community comes together at the biggest Drupal event in the world: DrupalCon North America. During the year I build and maintain website using Drupal and each year I attend DrupalCon where I meet other programmers, learn, and volunteer my skills as an event photographer. Click on a photo to view full size. The Drupal community is one of the largest open source communities in the world. They're developers, designers, strategists, coordinators, editors, translators, and more. 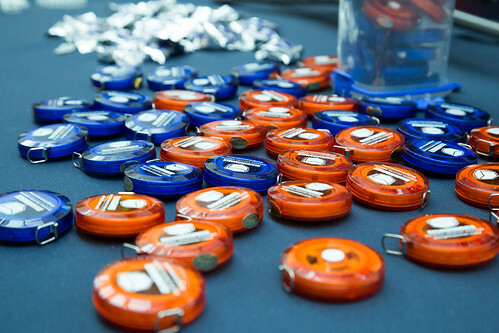 Each year, they meet at DrupalCamps, meetups, and other events in more than 200 countries. But once a year, the community comes together at the biggest Drupal event in the world: DrupalCon North America. People from every level of government, nonprofit organizations, private companies, labor unions, and independent freelancers are drawn to Drupal GovCon with the same goal: to arm themselves with mad skills and serious know-how to better serve their communities. This portfolio entry displays some of my IR-HDR work. For a quick start on how to shoot in infrared using a DSLR camera see my HowTo article titled "Infrared Photography Quickstart."